Xiaomi Redmi Note 5 rumors are flying fast and furiously, with the smartphone expected to hit the market in the coming weeks. Now, the phone has been passed through the TENAA – China’s version of the FCC in the US. The TENAA listing reveals that the device will sport a 5.99-inch display with a resolution of 2,160 x 1,080 pixels and an aspect ratio of 18:9, which we’ve seen on numerous devices this year. According to reports, the smartphone will be equipped with a dual 16MP main camera and a 5MP selfie shooter in the front. Apparently, the phone will come in three variants: one with 3GB RAM and 32GB storage, another one with 4GB RAM and 32GB storage and lastly a high-end model with 4GB RAM and 64GB storage. 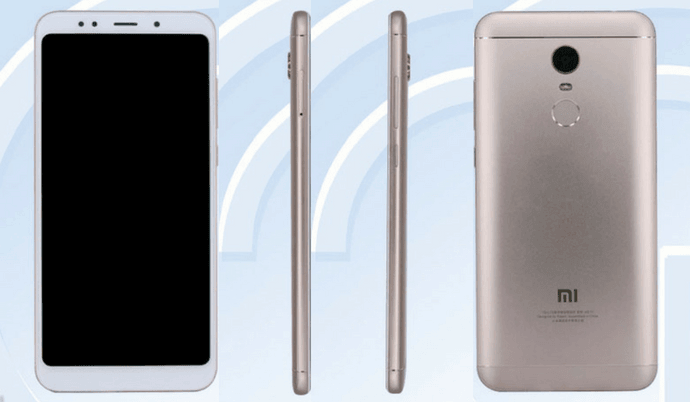 The TENAA listing suggests the phone could come with a 4000mAh battery inside. However, Xiaomi will now carry impressive new features like improved camera capabilities, FHD+ display, and better CPU performance.